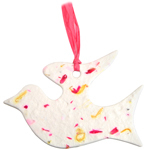 Pet Urns allow you to keep a small portion of your beloved's remains. 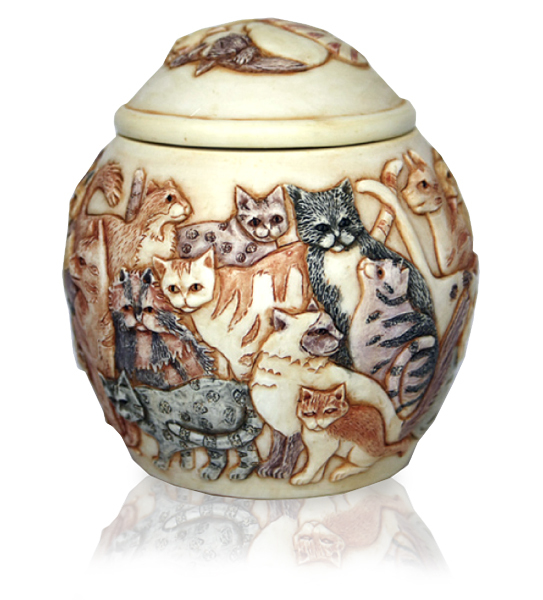 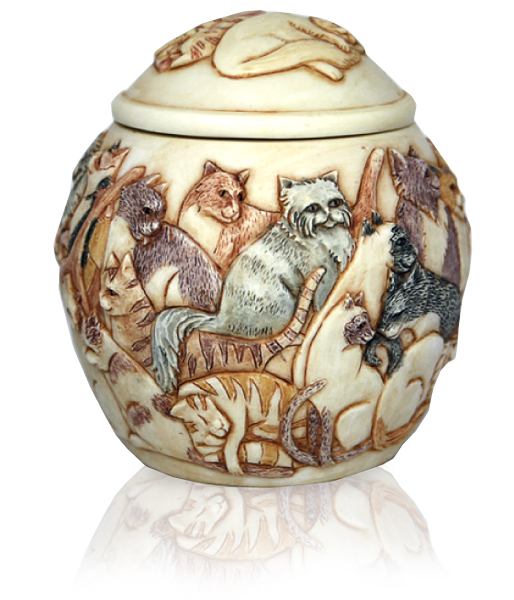 This beautifully crafted pet urn is covered in graceful looking cats sharing their warmth with each other. 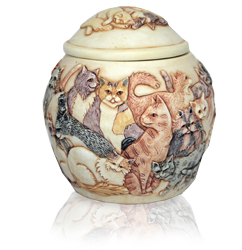 A perfect way to celebrate the cat you cherished in life. 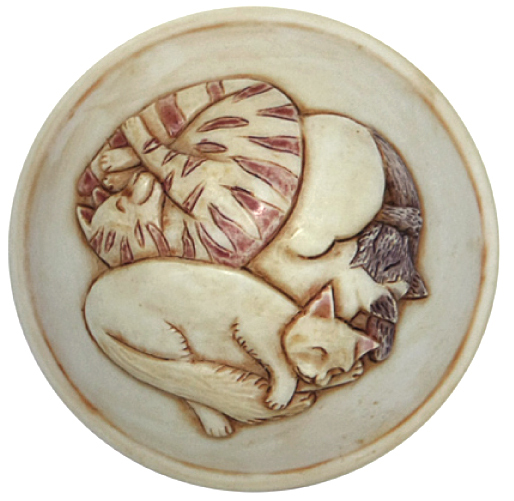 Every piece is hand tinted. Most items ship same or next business day. 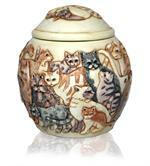 Capacity: Approximately 15 cubic inches or the ashes of a beloved pet that weighed 15 lbs or less at time of passing.